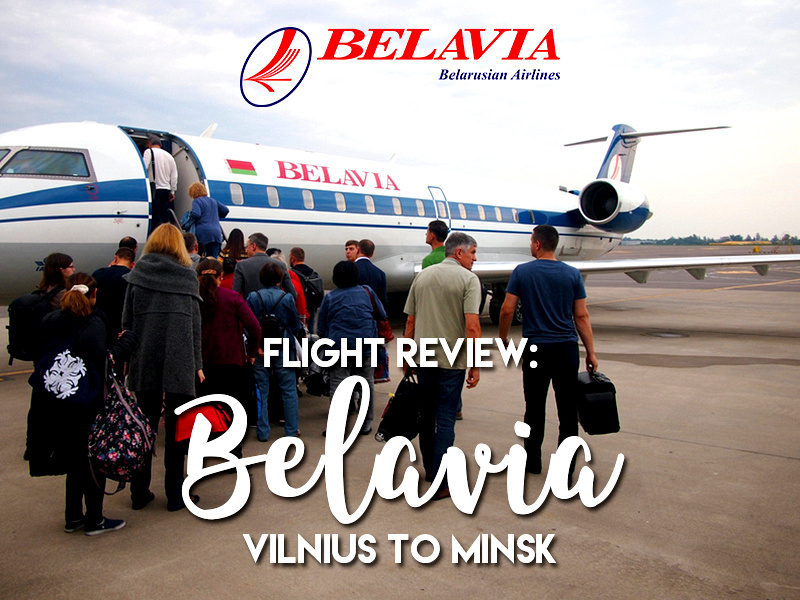 I flew with Belavia from Vilnius to Minsk. I booked the flight with Vayama, which has a simple booking and payment process. Ticket ticket worked out to around 58 Euro. 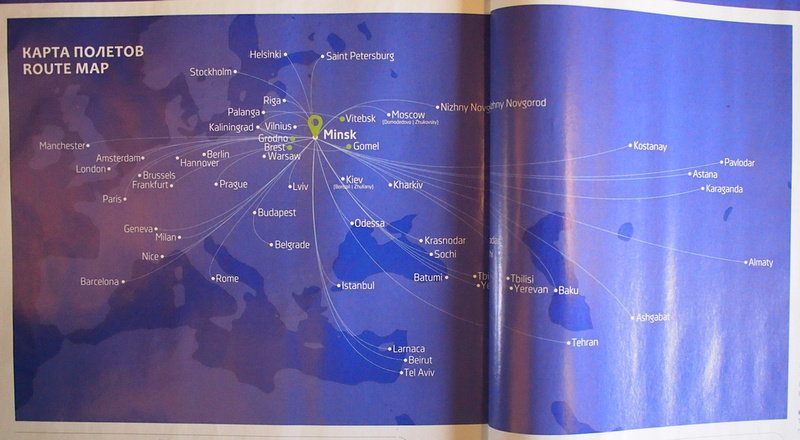 Belavia is the only airline to operate this route. It’s such a short route (196 km) that you can travel by train in about the same time, once you account for airport security and getting to and from airports. In my case I had to fly to Minsk in order to be eligible for the 5-day visa for Belarus. 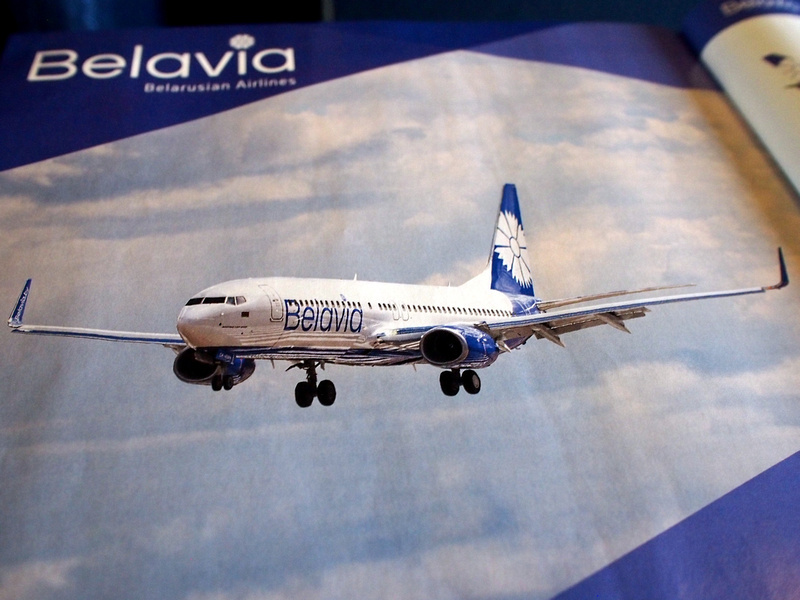 Belavia is the national airline of Belarus. I wasn’t sure what to expect when I booked them, or what type of aircraft they use. For this flight they use a Canadair (Bombardier) Regional Jet 200. It’s been a while since I’ve flown in a CRJ aircraft. The seating are 2-2 across and if you are a tall person it is better to sit in the aisle. 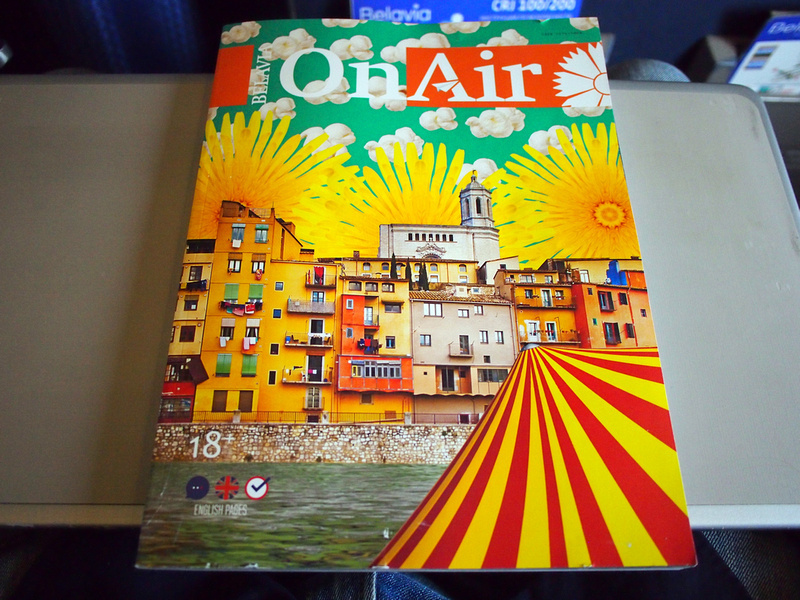 OnAir Magazine, the inflight magazine of Belavia. 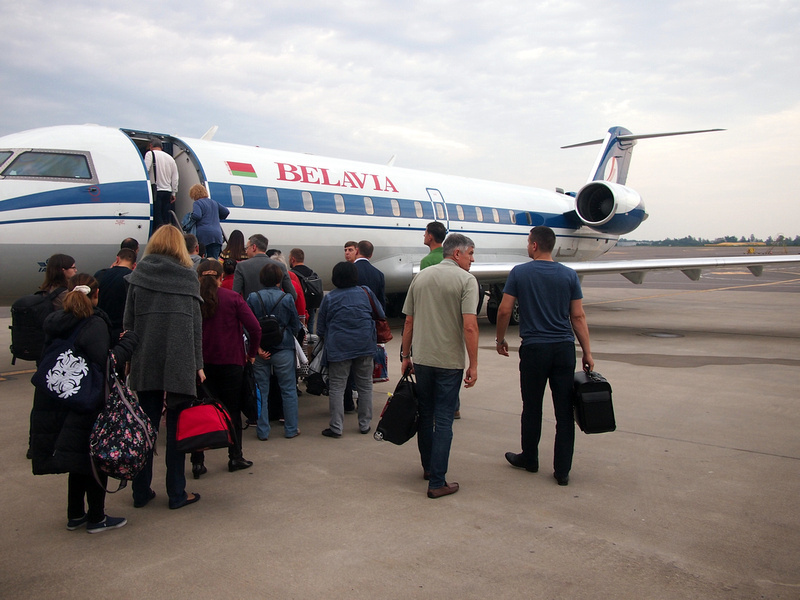 Belavia mainly fly to European destinations and former Soviet block countries. The aircraft I was on had the old livery which harks back to the old Soviet days. The airline has since had an updated logo, which has not rolled out to all the planes yet. The new logo looks more modern and less associated with its Soviet past. 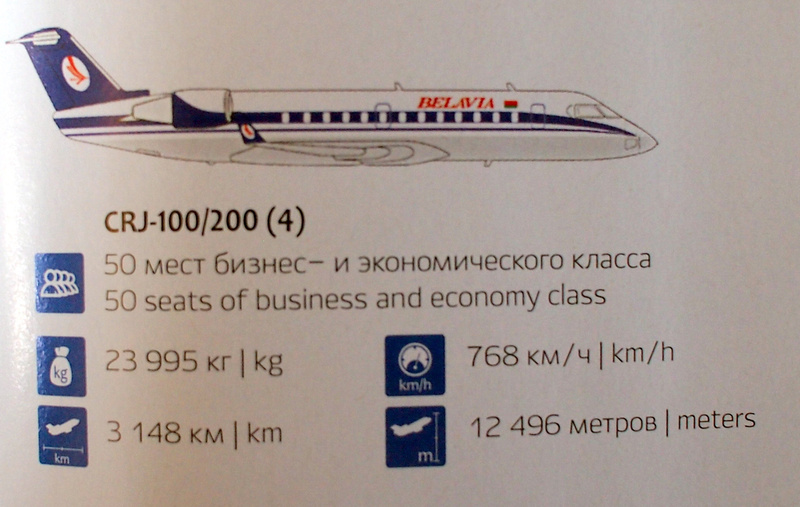 Belavia is not codeshared or in any airline alliance, so no points for you. 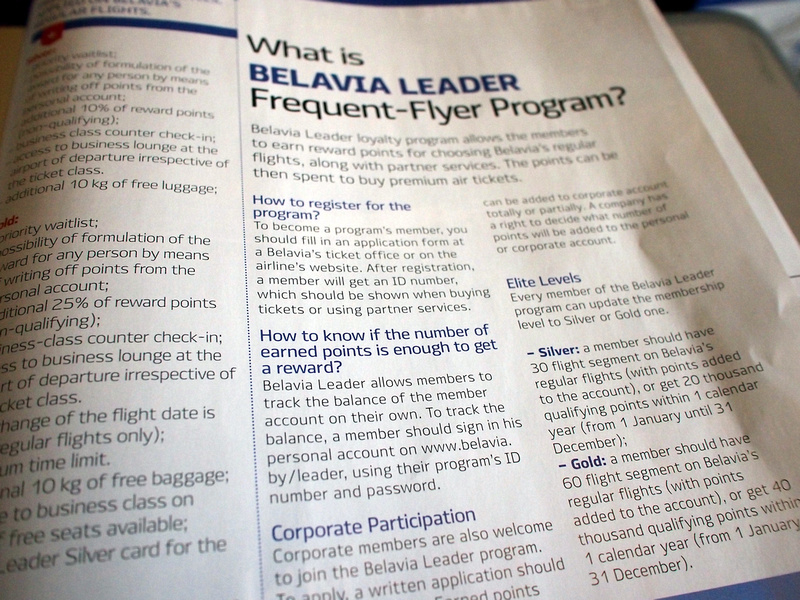 If you are doing business in Minsk on a regular basis then it would pay to join the Belavia Leader frequent flyer program. 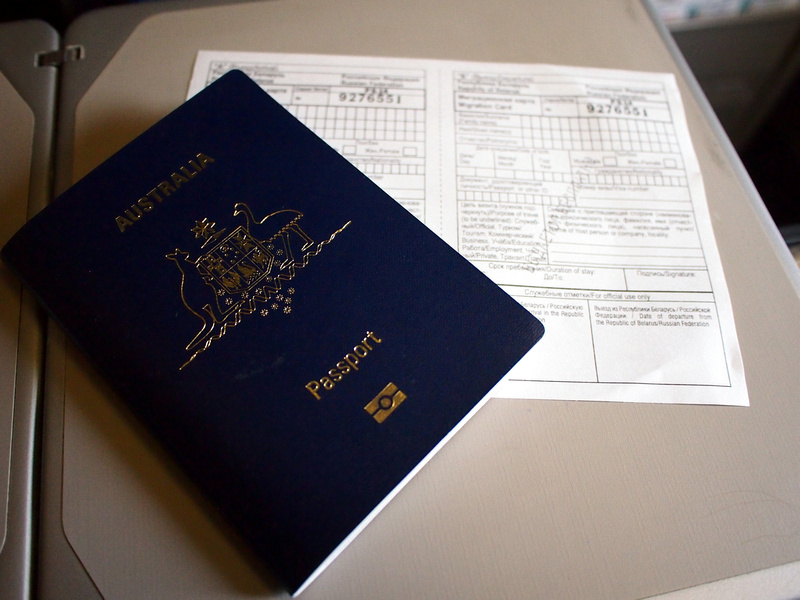 An immigration card is issued to help save time before you arrive. The flight is short (scheduled at 35 minutes but less than that) so there is no meal service. 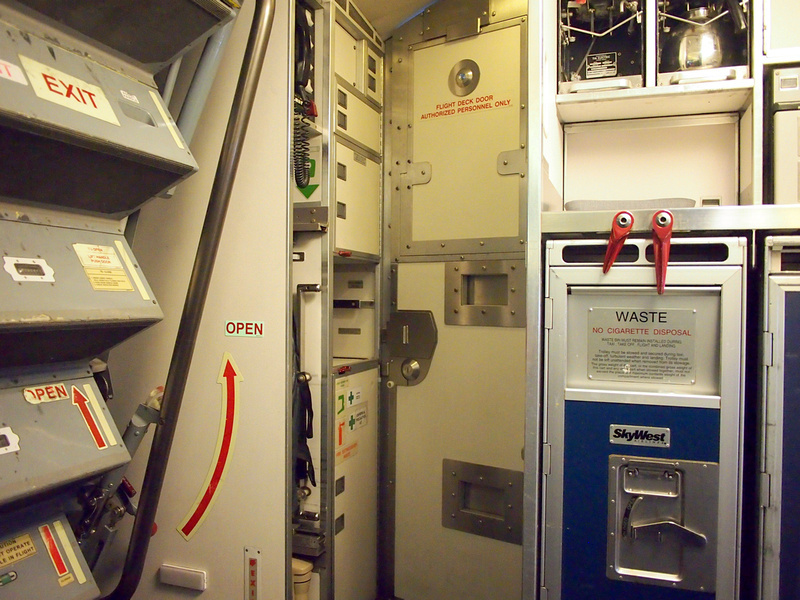 A flight attendant came through with a water bottle and cups, and even then she barely got to the end of the cabin before the plane started its descent. 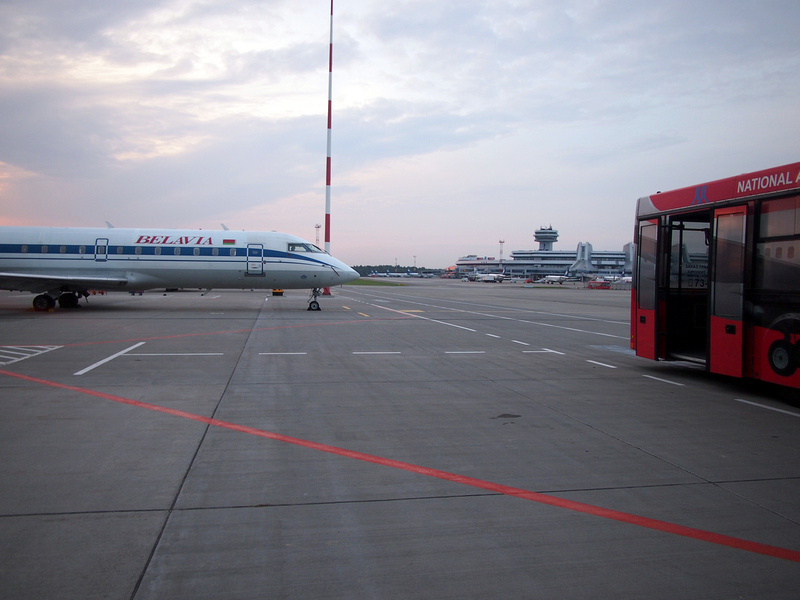 The flight arrived at Minsk National Airport where we were bussed to the terminal. Overall this was an easy flight from Vilnius to Minsk.